Some people like words, some people like pictures. For those that like both, the world invented the infographic. 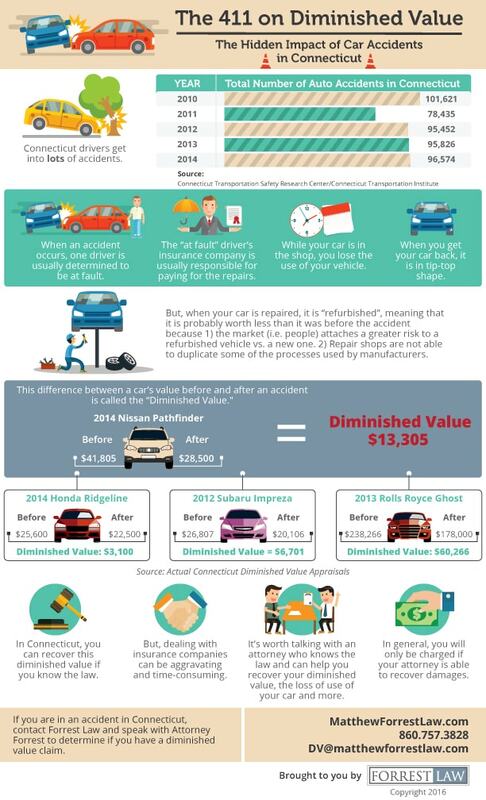 Since Diminished Value is a new idea for some, we thought that creating an infographic to explain the concept of Diminished Value made some sense. Please take a look at this image, see if you think it’s a helpful explanation. If you like it, we encourage you to share it via the social media site of your choice.